Our lovely Picnic Basket comes complete with plates, goblets, flatware, picnic blanket, Martinelli, and a bouquet of silk roses. 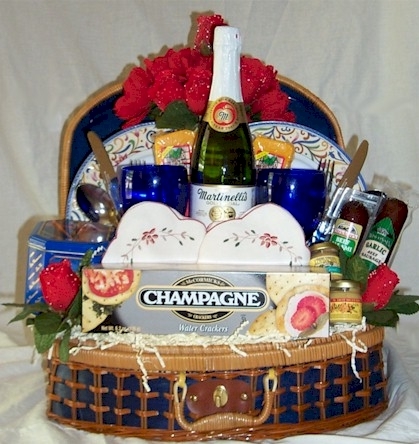 This basket overflows with elegance and gourmet goodies. Inside you will find everything you need for that special picnic for two.